It’s not really a Beauty Expo without Sephora now is it? ;) One of the interesting things I noticed at the Sephora booth was that they had grab bags for sale. Just pay KD 10/000 and get a random assortment of up to five or more full-sized products. I didn’t manage to get one but I hope they have something like that next time too. Did any of you lovelies manage to snag a grab bag? If so, please share with us the products you found. How come Bliss products only pop up during the Beauty Expo? I’ve never managed to actually find a single Bliss product at Sephora. They just magically appear during Beauty Expos. 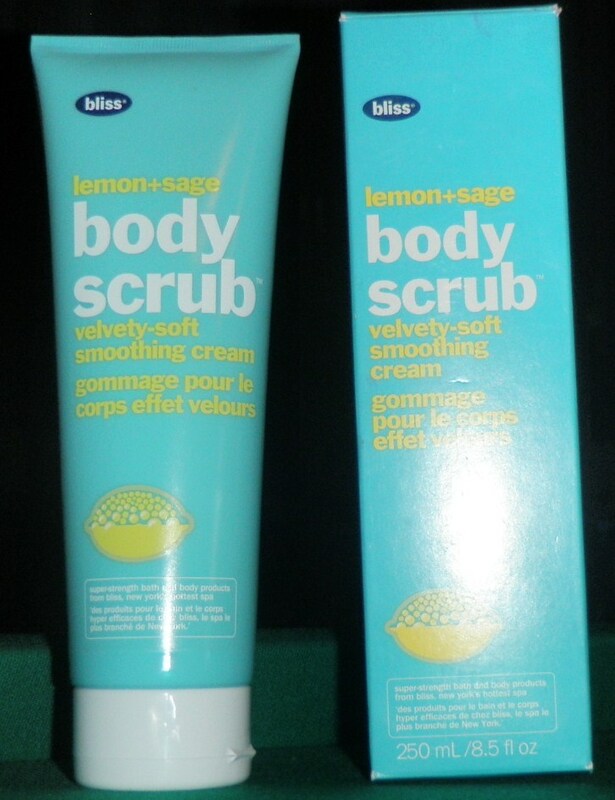 Odd… Anyways, I found this Lemon + Sage Body Scrub by Bliss (KD 16/000) at the Sephora booth at the Beauty Expo. I can’t stress this fact enough but I simply love the scent of lemons + I’m a huge fan of Bliss products, so purchasing this was a win/win for me. I have yet to try it out, though. 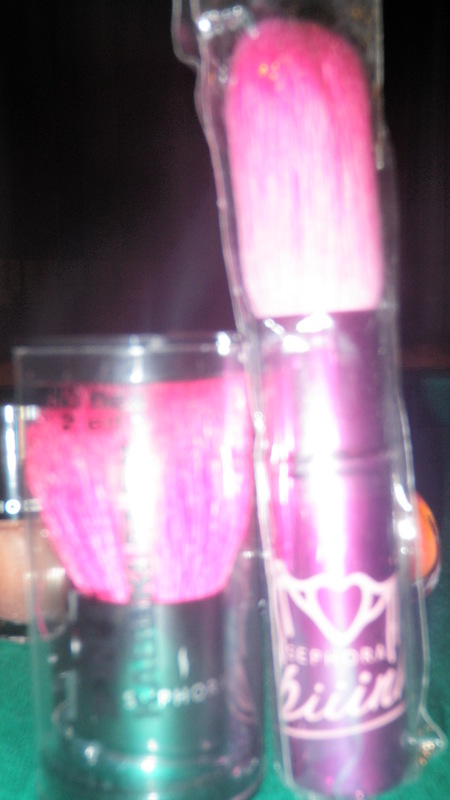 Sephora’s Piiink line is aimed at tweens but I just could not resist this adorable piiink kabuki brush (right). The packaging is quite flimsy. The pink aluminum casing (at least, I think it’s aluminum) actually came apart in my hands. Ok, fine, so I kind of broke it while trying to figure out if the brush was retractable or not (It’s not). I just popped it right back in it’s place and all was well with the world. Another thing is, this brush is much heavier than it looks, meaning it isn’t exactly ideal for clutches, over-sized or not. 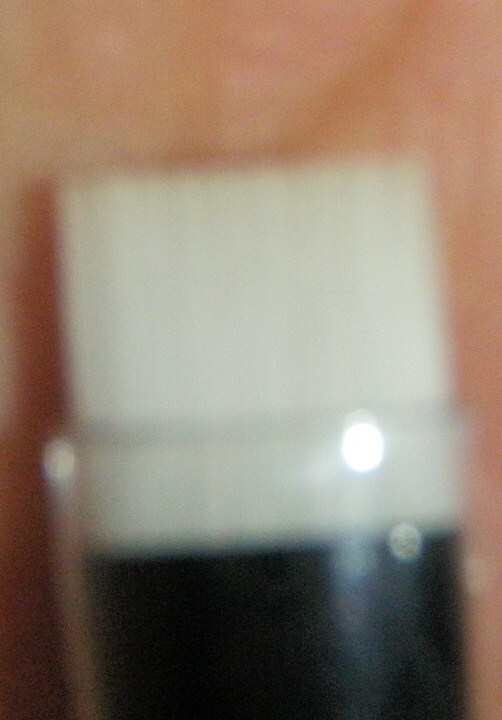 The 2-in-1 Kabuki Flex (left) is tiny. It’s really, really light. Plus it’s hot pink! This Kabuki Flex Brush and I were a match made in Heaven so obviously I was going to buy it, which I did. Further inspection after purchase led to the discovery of the whole 2-in-1 gimmick with the Kabuku Flex (right). I adore beauty products with gimmicks. Check it. Just like the illustrations above show you; Closed, it’s a Kabuki Brush. 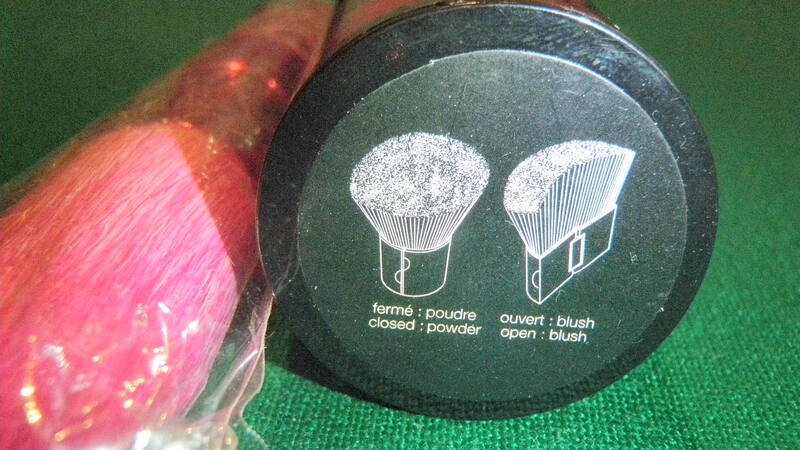 Open, it moonlights as a Blush Brush. Plus the hot pink bristles are actually slanted. “To edge it out”, as Tyra would say. 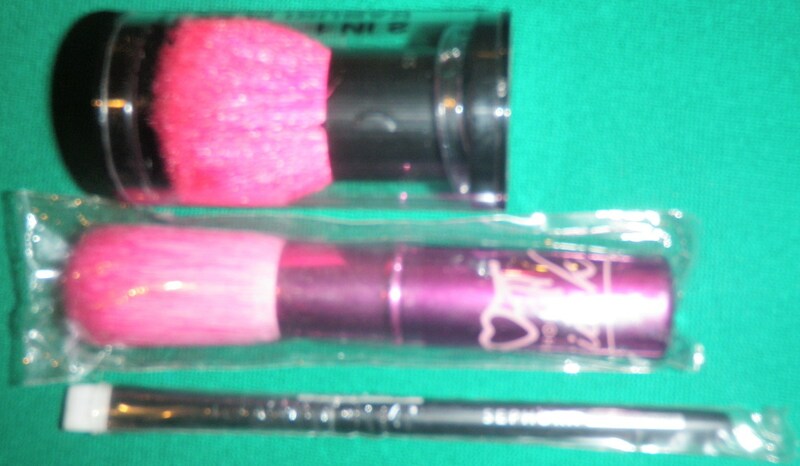 The cute pink bristles (left) belong to the Kabuki Brush from the Piiink Sephora Line. Both brushes are simply adorable! Now for something more sensible after all that cuteness, and what’s more sensible than a Flat Liner Brush? This brush is perfect for that “retro look” or that “cat eye effect”. 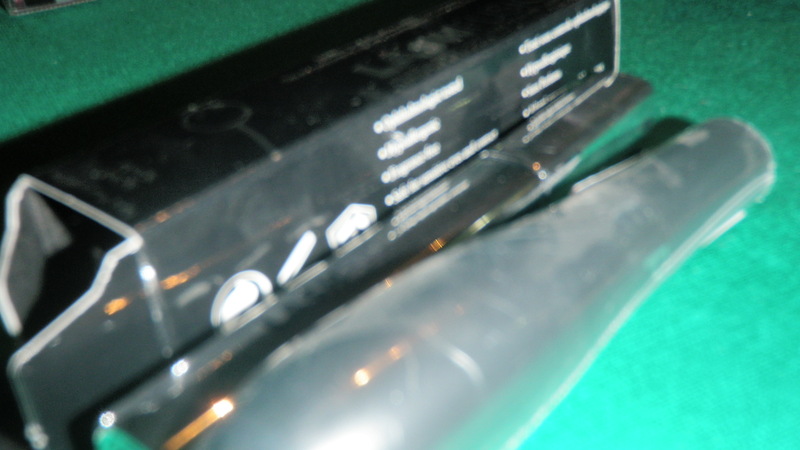 It’s also great for tight-lining (lining the waterline). Love it! The “N” collection is the old nail polish line from Sephora. They don’t have any names, only numbers. The “L” line is the newer collection, with both names and numbers. The “P” collection consists of glitter nail polishes. The entire line includes no more than eight glitter nail polishes. I found most of the older nail polishes in bargain bins (75% mark down from the actual price) so that’s why I picked up quite a few. 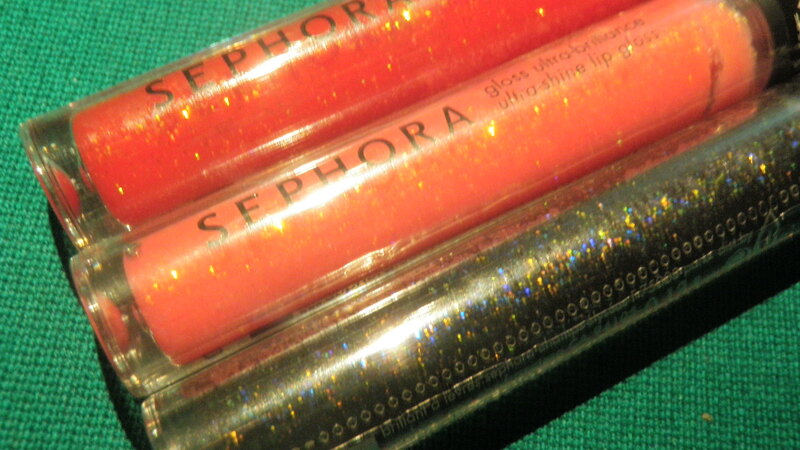 The glittery ones are new(er) so you can only get them at full price, for now. Just some more cute stuff from Sephora’s Piiink line which as I stated before is aimed at tweens hence the affordable price. I love lining my eyes with eyeshadow as opposed to pencil eyeliner or kohl because I find that it is less severe. The glitter is not really that noticeable when used as a liner yet it makes your eyes sparkle especially when used at night time. I have no clue where I am going to wear these or what I’m goin to pair them with but it was love at first sight, especially with the Black one. They all just look so festive! I swear I wasn’t into glitter before. I think I regressed into a tween overnight… or something. Back to the product, I really really like the scent but I can’t quite put my finger on what it is exactly. It’s not that generic vanilla scent that is found in so many lipglosses. It’s actually more of a fruity scent but at the same time it’s not sickeningly sweet. If anyone can pinpoint the secret, I’d be forever grateful! I love the Beauty expo I always try to make it there on the first day! As for the grab bags from Sephora, I bought 3 bags this time, and 5 during the last expo which I can’t recall when it actually was held. The bags are so worth the 10kd price tag! 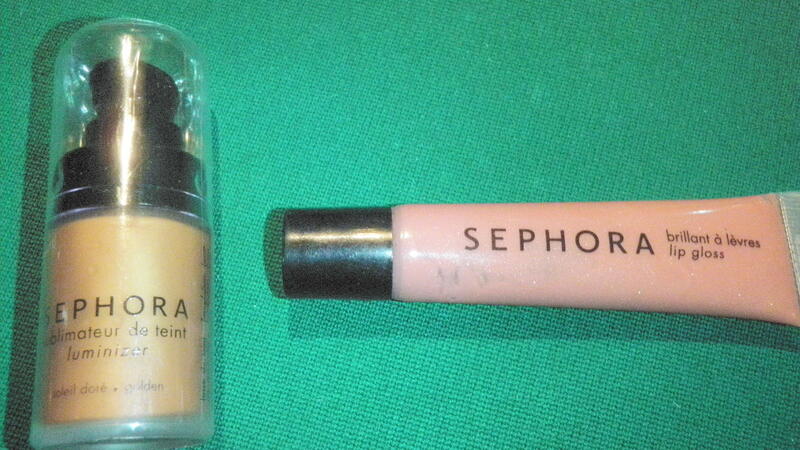 You actually get full sized products as you mentioned that easliy cost 30KD+, so its such a bargain! I too LOVE Bliss products, unfortunately I only found them in Kuwait in those Sephora bags. I got 3 bliss products, a lotion, a scrub and the moisturizing gloves. Some of the products in the bags are practical and could be used, others I swapped with my sister’s bag items :p as we both bought some Sephora bags. 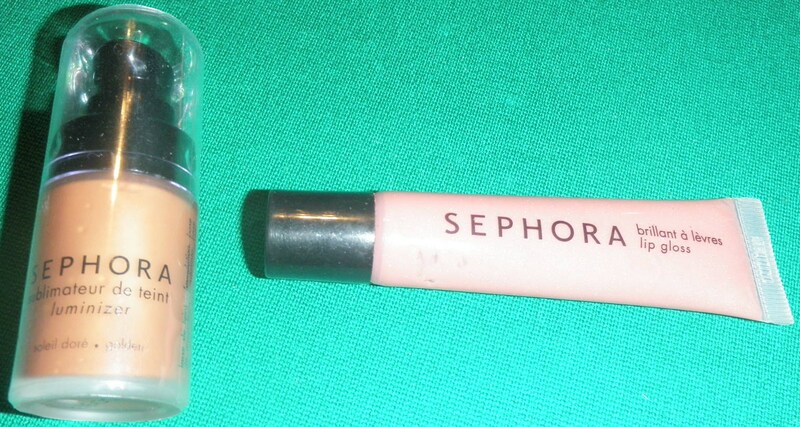 I got a pink Sephora tweezer which i fell in love with and Lipfusion glosses which I liked. The list goes on and on as I have a total of 8 bags! I know cosmetic junkie! Hey Shosh! Same here hehe I try to make it on the first day as well (that way we can check out all the good deals!). Sounds like you’ve accumulated a great haul! How’d the moisturizing gloves work out? I’m thinking of actually ordering the moisturizing socks online. Isn’t it curious that we never find Bliss products except during the Beauty Expo? I’m starting to develop my own conspiracy theories. Maybe the sales assistant keep the stuff for themselves and use their employee’s discount! Paranoid much, LuLu? hehe Good on you for swapping with your sis. That way nothing goes to waste. The tweezers sound cute. Then again, just mention pink and I’m sold :) I adore Lipfusion! They also seem to last me for a looong time. It feels great to get some juicy feedback so thank you, Shosh! Digital Caliper – Oooh that’s actually quite interesting because I’ve never thought about trying that combo before but I love olive oil. It’s such a great multi-tasking product. You’ve inspired me with an idea for a new post! I’m going to make a new post about the many uses of olive oil. Thank you! Sosh – I see your “no sephora at the expo” and raise you “I didn’t even make it on time to the expo”. I went there and everything but it was already over and I totally missed it. For some reason, I totally blanked and mixed up the dates.